Seems as though Cineas had received orders to raise the power lines along Carnival route and did nothing about it. Cineas is one of the vagabonds in Public Works, like his father before him. The Cineas fortune is based upon Alex Cineas’ theft of funds from Delmas road project under Duvalier. He built low quality roads without adequate drainage. Lives have been lost because of this when area floods. Now, Phillipe bleeds dollars from projects. Cap Haitien Airport improvements saw him take most of budget, creating terminal building that would not pass FAA, American Airline, or Homeland Security standards. Some say he took $4,000,000 and spent $500,000 on work using sub-standard materials. Time to stop the criminal Cineas. Stealing capital $$ is one thing. Taking lives is something else. The criminal Cineas is guilty of manslaughter at the very least. He should be fired from the Ministry and face Justice. 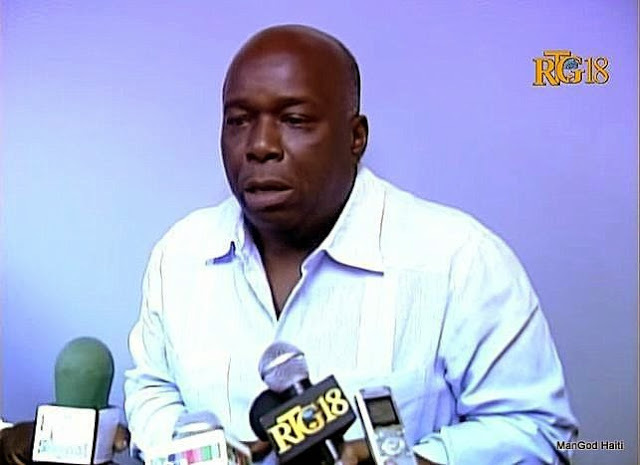 Gregory Sada, Chairman of the 2015 Carnival appeared on television February 17 to show an E-mail and BBM (Black Berry Message) to Phillipe Cineas requesting the correction / raising of the power lines along the Carnival route. As usual, Cineas did nothing, and many were killed and injured because of this criminal negligence. Let us hope that Sophia’s greed will not shield Phillippe Cineas from the judgement that he and Ministre J. Rousseau must face for their criminal negligence. Simply holding a State Funeral doesn’t cut it. The Government must compensate the victims and guarantee education for all children involved. Also, canceling the Carnival was a poor decision. Showmen follow the old saying : “The show must go on.” The accident is sad, but Carnival should have moved forward. Philippe Cineas controlled the Cap Haitien terminal project, in preparation for American Airlines inaugural flight October 2,2014. He used inferior material, and did the work to such a low standard that it would not pass American Airlines inspection. The floor of the mezzanine was so weak that it would have collapsed under weight of 10 people. Terminal would only hold 90 passengers when Boeing 737 delivers 187. Airport budget was $18,000,000 and Cineas hired incompetents and only spent $467,643 on project. He stole millions without regard to embarassment for Haiti. Foreign contractor saved the day and then Cineas cheated them out of payment. Pipo Cineas is an embarassment – even in a land of thieves. Time for Cineas to go. He has paid Sophia enough, along with airport chief Laguerre.